This page is devoted to documents and information related to the SEDA-COG Joint Rail Authority’s Request for Proposals (RFP) issued on May 16, 2014. 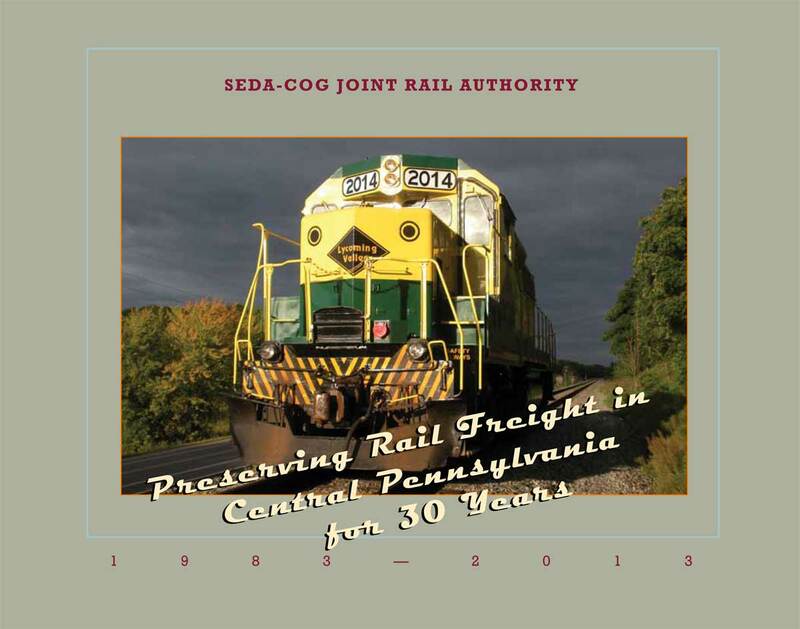 SEDA-COG Joint Rail Authority 30th Anniversary Booklet. The JRA Board meets on the second Wednesday of each month at SEDA Council of Governments in Lewisburg. The JRA's Property Management Committee usually meets two hours prior to the Board meeting. All meetings are open to the public. If you are interested in attending or would like to receive a copy of the agendas, contact Kay Aikey at 570-524-4491. 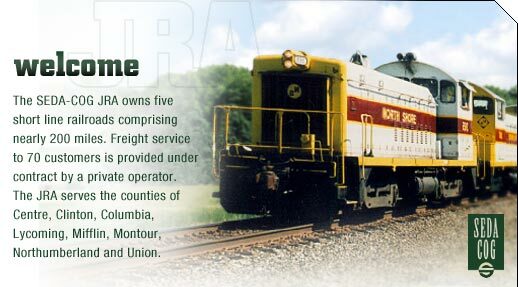 The SEDA-COG Joint Rail Authority's mission is to preserve and foster rail service in Central Pennsylvania and to further economic development through retention, improvement and expansion of the infrastructure and the rail service it supports. Operation Lifesaver is a nationwide, non-profit public information program dedicated to eliminating collisions, injuries and fatalities at highway-rail grade crossings and on railroad rights-of-way. Through a network of State Coordinators in 49 states (excluding Hawaii), Operation Lifesaver sends nearly 2,500 volunteers into the field to deliver a public safety message. This report highlights the action of the Southern Tier West Regional Planning and Development Board and the SEDA-Council of Governments to form rail authorities and save short rail lines that would have otherwise been abandoned. These lines continue to be critical for economic development, with rail infrastructure being central to creating and retaining jobs in each region. The JRA is celebrating 25 years of serving Central Pennsylvania! Click here to read a comprehensive history of the Rail Authority written by Mr. Allen Bubb.